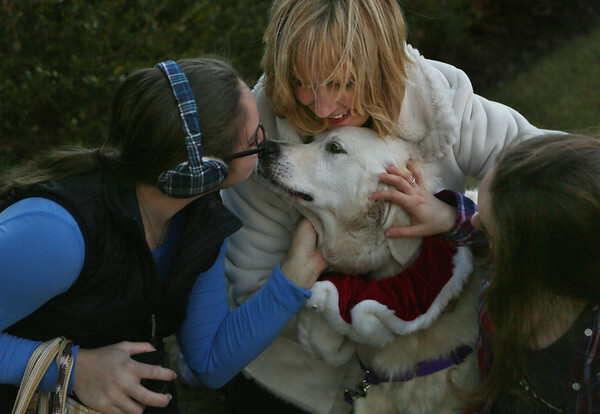 Pam Bradley of Gloucester holds her dog Elle as sophomore Rebecca Strauss, left, and freshman Megan Bennett, right, greet her this week at Endicott College in Beverly. Bradley and Elle, a five-year-old English cream retriever, are a pet therapy team certified by Pet Partners and the Massachusetts chapter of PAWS for People. They were invited to Endicott to help provide stress relief during finals week.